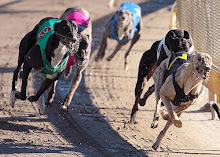 Nightrave greyhounds blog: 'Swift Fantasy' racing this Thursday at Manukau Stadium! 'Swift Fantasy' racing this Thursday at Manukau Stadium! I have written about the amazing Swift Fantasy before, here. This little black girl stays waaaaay back till the very last part of the race, at which point she speeds up and wins! :) You can watch the video of one of her races here. 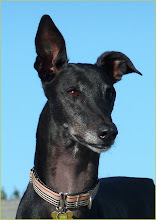 I have also had the priviledge of seeing this amazing greyhound girl race in the flesh in Wanganui last year -she won of course, and for me, it was truly an incredible thing to see. 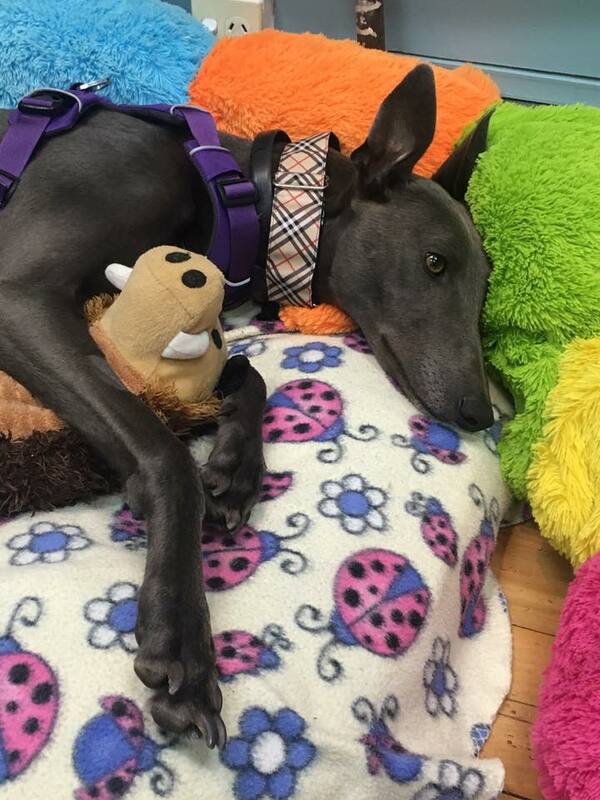 Swift Fantasy's trainer Kathy Wilson just emailed me to let me know that her lovely doggie is racing this Thursday at Manukau Stadium. Swift Fantasy has quite a few fans amongst GAP owners and foster parents and she even attends some of the GAP walks, as you can see on the pictures ! She hasn’t raced since September last year which is when she came in season and once she got through that, there were no races suitable for her until now (ie over 700m). So if you want to see this amazing dog racing -do be at Manukau Greyhound Racing Track at 7.22pm this Thursday! The race coincides with our Auckland Cup week which the final will be on that night too with Little Mother and Sergio competing. Swift Fantasy I remember you! I was holding the banner in front of you as you walked in front of the race you sponsored in Auckland (your last time on the track).